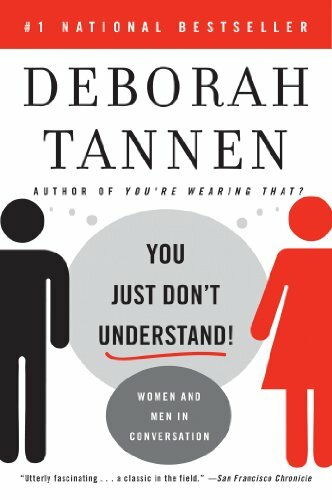 Barbara reread You Just Don't Understand: Women and Men in Conversation, a book about gender differences, by Deborah Tannen and found that many of the behaviors Tannen describes still ring true for her and the people she lives with and coaches. I make resolutions all year long, not just in January. They almost always have something to do with communicating better with others, having difficult conversations when needed, and writing. This month I reread a book about why men and women often don’t understand each other. I hoped it would help me with my own communication goals and as I design a course on women and leadership. Gender is a much more fluid concept today than it was 20 years ago when Tannen first published this book. While we now know that gender may be better described as a spectrum or even constellation, it is important to remember that society has long operated with two distinct and often ‘oppositional’ genders in mind. If you grew up exhibiting or witnessing the behaviors she ascribes to most boys and girls, you may find that you unconsciously carry those attitudes into the workplace and use them in your personal life in ways that might not get you the results you want. Tannen, a linguist, found as she researched gendered behaviors in the 1990s that men and women behave so differently because that they grew up playing by different rules. give solutions—you’re further up the hierarchy if you solve a problem. talk at length about problems to increase intimacy and sameness rather than rush to a solution. Tannen says many adult men are still looking for hierarchical relationships, and they often jockey for position to see if they can get to be one up in status. Some ways they do this is by beating the other man at a game, selling more, or being the knowledge experts even in sports trivia or news facts of the day. They do not like to ask for help because if they do, they are immediately thrown into the one-down position. She’s observed that many women want side-by-side, equal relationships, keeping the power dead even. When a woman moves up in an organization, it is often the other women who give her the hardest time. A male executive can hand a female assistant something to type, and she will do it without comment. The same ranking female executive can give the same female assistant the same document to type, and the perception by the assistant or other women may be, “Who does she think she is? She thinks she is such hot stuff bossing people around.” The female executive may need to make small talk, ask about families and pets, or engage in other relationship-maintenance behaviors to get the same work done with less resentment. Although I don’t fit her female style description completely and have no trouble communicating in a meeting, I do want to connect with friends telling personal stories. My husband wants to connect by doing things—over the years playing golf, tennis, basketball, football, baseball. He and his guy friends like to tease each other or beat each other at a game. He doesn’t bring up sensitive topics. However, he is a good listener and very supportive when his male friends are in stressful situations and finally mention them. I get together with several friends regularly and talk for three hours about everything that is going on in our lives, much of it very personal. Throughout the book, Tannen repeatedly says she makes no judgment about gender behavior patterns being right or wrong. She merely observes what she has found in her research and suggests that life for people of all genders could be smoother if we maintain awareness of the strong male and female cultures exerted by our families, communities, and wider society. Any time I can stop thinking someone else is wrong and start thinking they just have learned or value different behaviors than I do, communication usually improves. One of my new year’s resolution was to keep this information in mind when I’m dealing with the men in my work and personal life. I’ve gotten pretty good at conflict with a lot of practice over the years but noticing the different behavior patterns in some of the men in my life and choosing the best strategy for a given situation, regardless of how that strategy is gendered has yielded some good results.